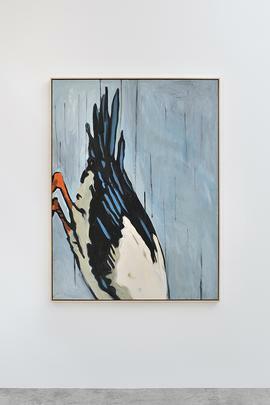 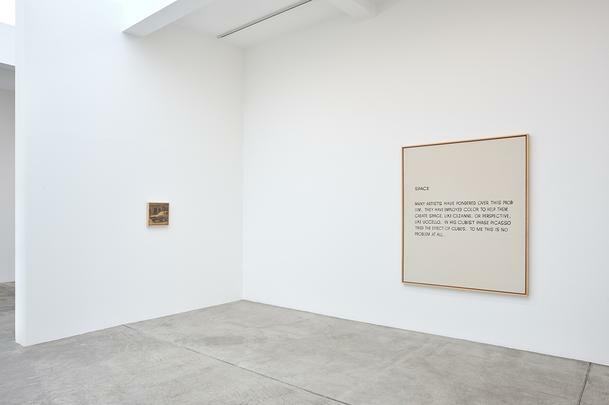 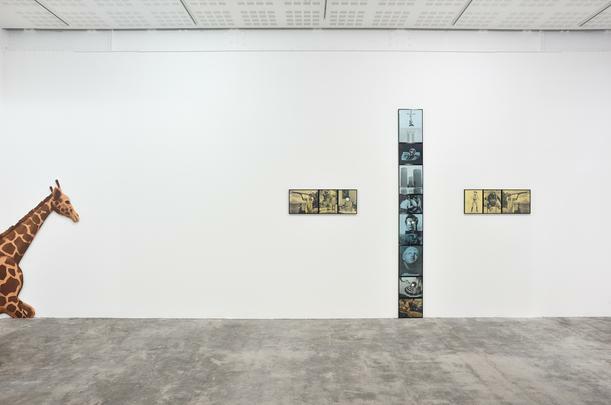 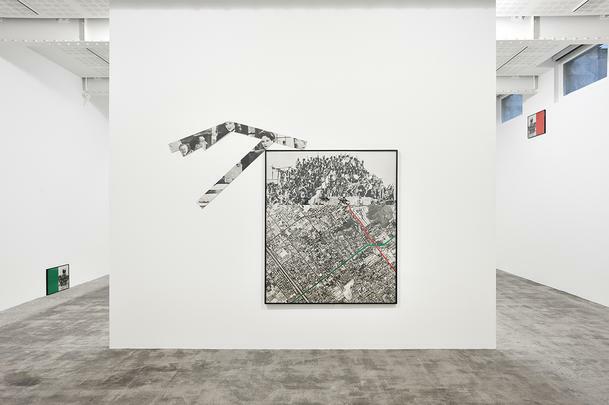 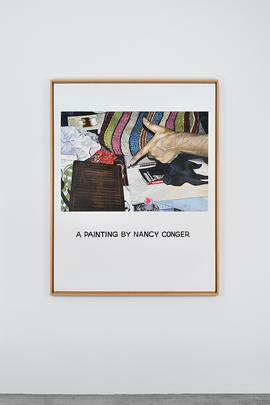 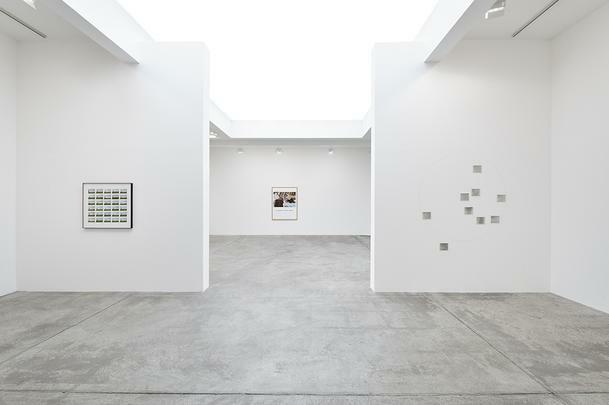 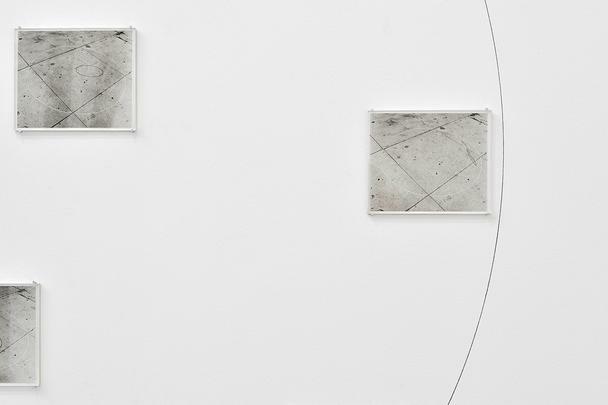 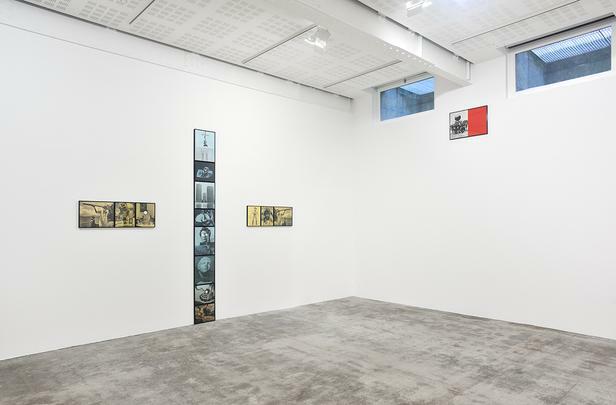 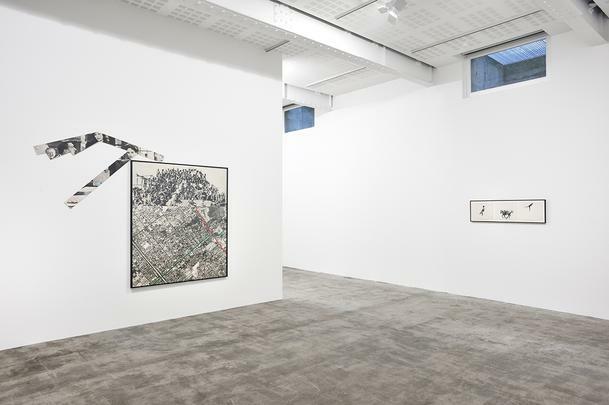 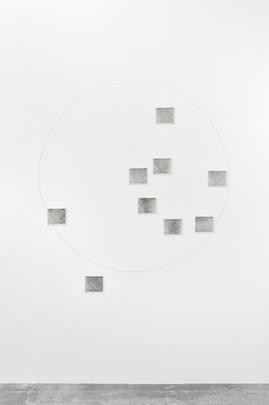 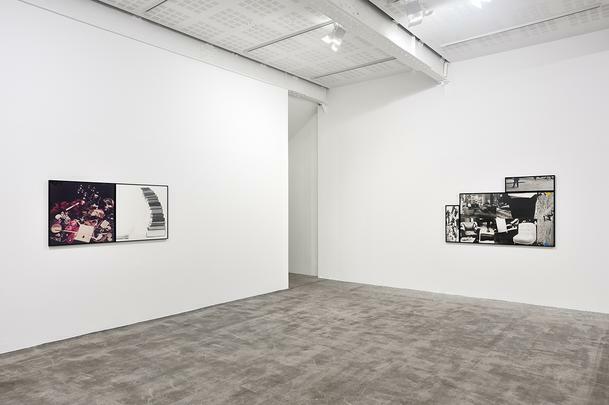 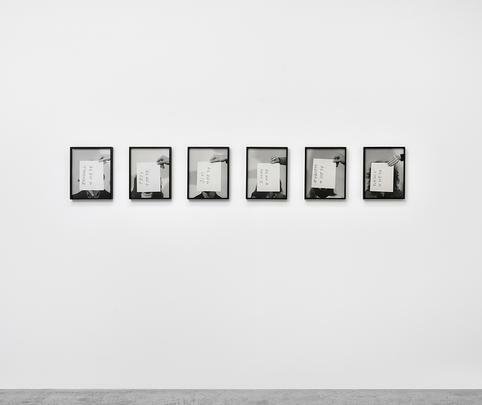 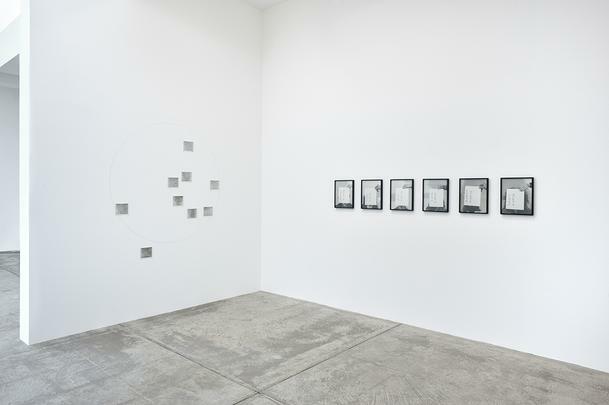 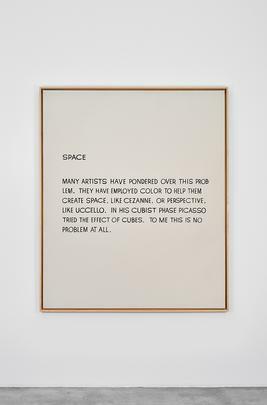 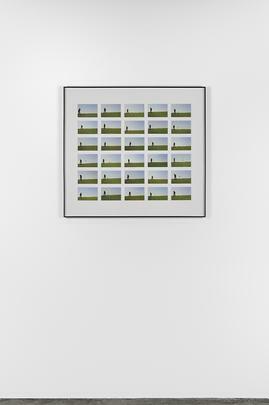 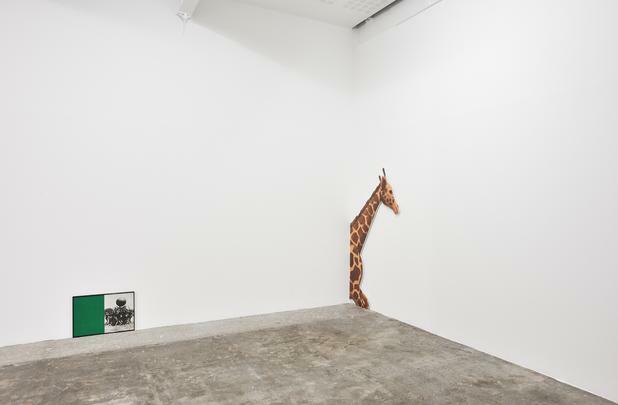 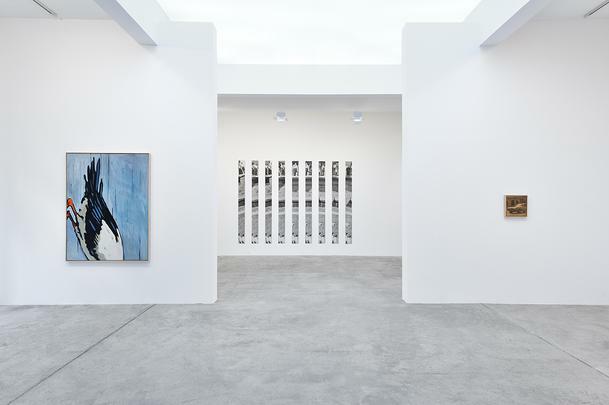 Early Work at the Paris gallery comprises examples from most of Baldessari’s major series; National City, Commissioned Painting, Thaumatrope, Vanitas, Portrait and Goya series, each giving a unique overview of the breadth and development of his practice. 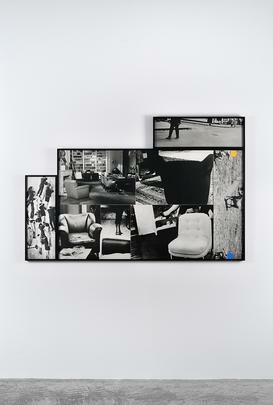 Some of the work on display, including Study for Econ-O-Wash (Version B), 1967 have rarely been exhibited since their creation. 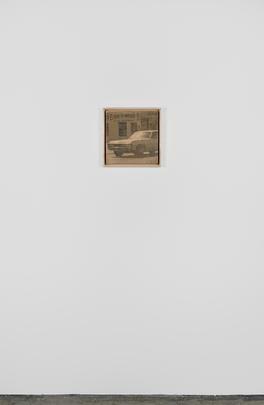 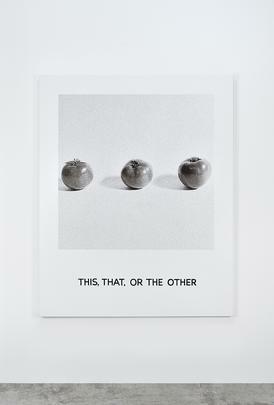 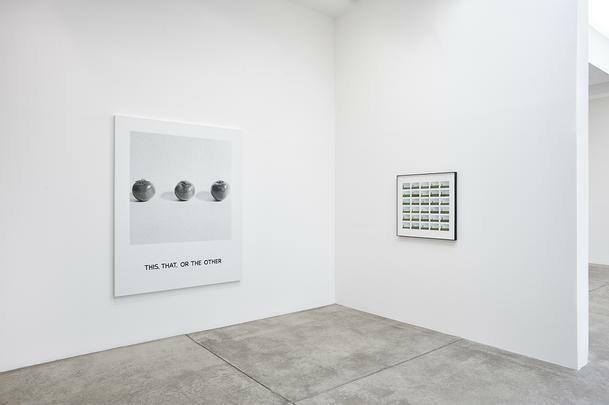 Art historical references appear throughout John Baldessari’s practice, as evidenced by the work in the exhibition from the Goya Series; Goya Series: THIS, THAT, OR THE OTHER, 1997 in which we see black and white images of everyday objects; a paper clip, bouquet of flowers, and apple, juxtaposed with titles taken from The Disasters of War the 82 prints created between 1810 – 1820 by Francisco Goya.